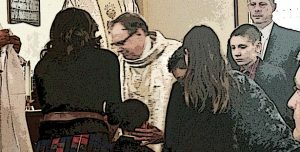 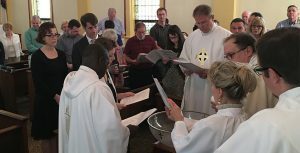 Sunday, February 3, 2019, we baptized Doug and Cathy’s three children and celebrated Candlemas, the end of Epiphany season. 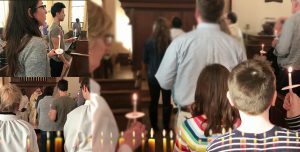 Make sure you take some time to welcome the newest members into Christ’s family here at St. Auggie’s and check out the pictures below! 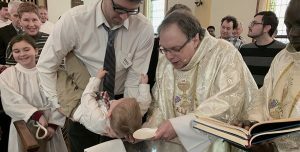 We rejoice today with the family of this infant as they thank God for the gift of life and bring their child for baptism. 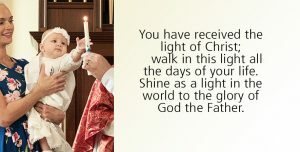 God our Creator, we thank you for the wonder of new life and for the mystery of human love.